Life in the Florida panhandle is great - unless you have heating and air problems during a hot and humid summer day! Have you been there before? Your family is relaxed, watching a game on a Sunday afternoon and someone says, "is it hot in here?" You realize it does feel a little stuffy, so you saunter over to the thermostat...but wait, it's set correctly! A hand up to the vent reveals warm air is blowing out. Not a good situation. It's times like the above that you need to call Giddens Air Conditioning Inc. at (850) 562-0300. 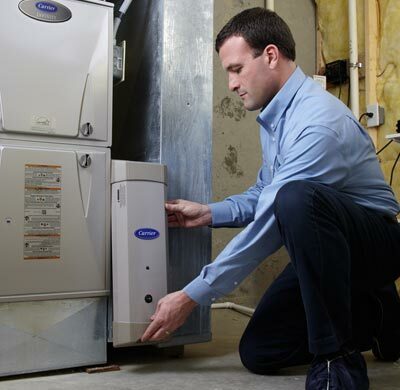 We're a company who has been involved in the heating and air Tallahassee service scene for many years. We offer after hours service, and when a job is handled by Giddens, it's done right. 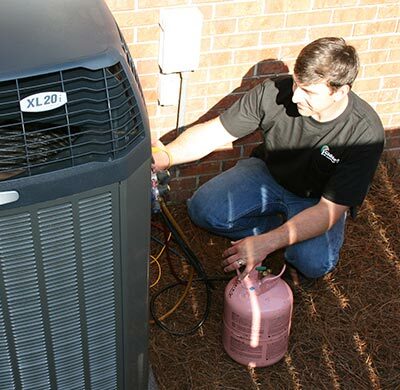 So what do we offer homeowners as a local Tallahassee air conditioning contractor? We offer custom designed, new installations along with repair and maintenance for any make and model of equipment. The efficiency, performance and reliability of your heating and air system depends a great deal on the quality of the install. We're experts at sizing and designing systems that are ideal for your specific home. We don't shove equipment out the door to make a sale, but provide more personal, dedicated attention to each customer need. We sleep good at night knowing that are customers are receiving the best service in town! Whether your need involves air conditioner repair, a whole house humidification system or a new gas furnace, we're the company to call at (850) 562-0300. "My heat pump went out on a VERY hot day. It had been installed by another company who had already messed up on a service call less than a year after install. Therefore I called Giddens on a recommendation. The technician was prompt, presentable, professional & respectful. I have COPD & heart problems & cannot tolerate high temperatures. So it was a very real emergency. The air handler had failed still under warranty. This week the overflow valve tripped on the day I was discharged from the hospital with pneumonia. I called Giddens from the hospital. Jodi at their office even remembered me. Bailey came that same night late & got it working. He finished the final repair the very next AM. I was impressed & more than happy to recommend this company." We're known for our outstanding indoor comfort solutions. Part of providing the best, most ideal solutions for our customers is by laying everything on the foundation of quality equipment. Trane® corporation manufactures some of the most reliable and efficient products in the industry. Not to mention amazing production innovation! As we mentioned above, we take care to provide a high level of customer service on every job we do. This definitely applies to our design and installation services! We understand the many nuances of a finely tuned HVAC system. We design, size and pair equipment that is ideal for your home, budgetary and comfort goals, and the result is an investment that you are extremely satisfied with. Have you been heating and cooling your home with noisy and unsightly floor or window units? Guess what? Those days are now over with ductless air conditioning solutions! 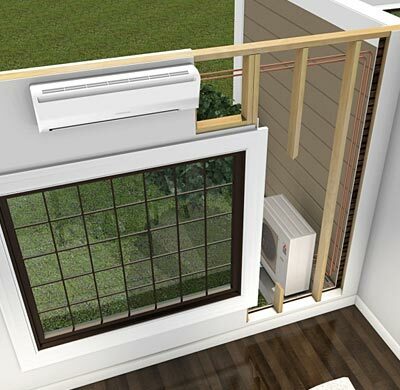 These system also known as mini-splits, operate independent of ductwork, and can control the comfort in multiple rooms. They operate quitely and efficiently, offering SEER ratings that are even higher than full sized systems! A typical furnace filter found on most split systems is only able to catch rather large particles in the air. They are virtually ineffective against things like mold spores, VOCs from paints and household cleaners, allergens, dander, smoke and more. The Trane CleanEffects electronic air cleaner replaces a standard filter, and is able to filter microscopic particles from the air. 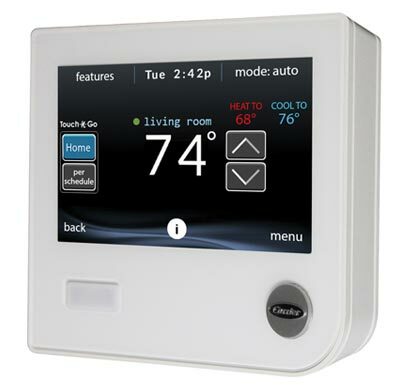 Heating and Air Tallahassee: many things are involved in proper indoor comfort control. 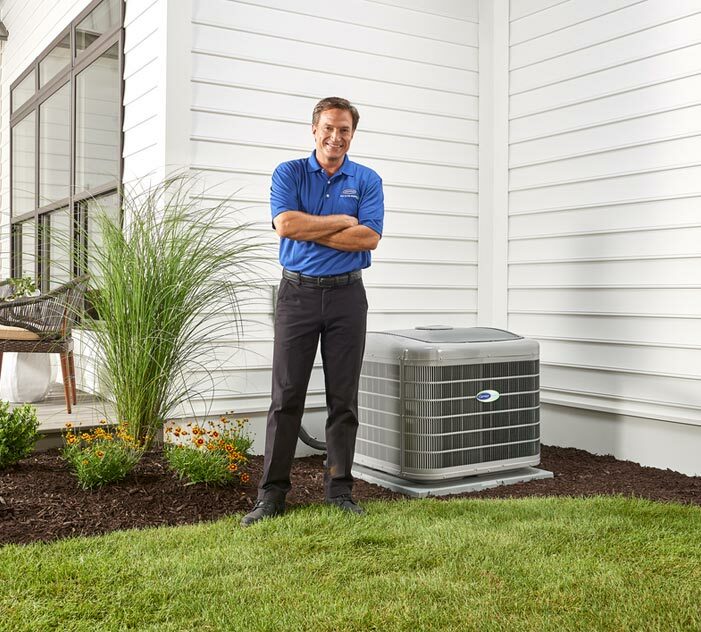 We're excited that you're considering us as your local AC contractor, and we're ready to enhance the levels of your indoor comfort control today!